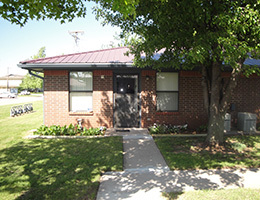 Lindsay Place is an affordable, older adult (62+) community with several apartments equipped to accommodate those who are mobility impaired (available to those over the age of 18). 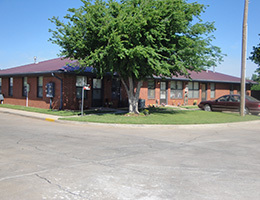 Lindsay Place is located in a quiet rural area at the edge of a town that was established in 1902 by farming and oil industries. It is a cottage-style setting of four separate buildings with well-groomed lawns, flowerbeds, and trees. The city provides a van, free of charge, which will take residents shopping. A pharmacy will deliver directly to our residents. 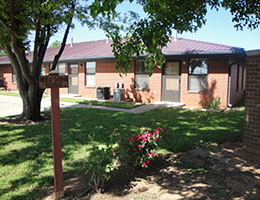 Lindsay Place is close to shopping, banks, restaurants, and medical facilities. Home health care is available and meals are served five days a week from the Senior Center if you choose. Pets are welcome but a deposit is required and there is a size limitation. 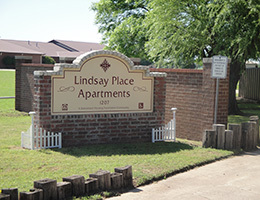 Lindsay Place is a smoke-free community.